://about blank, November 2014. It’s below freezing but that doesn’t stop the 50-strong crowd waiting outside the Berlin nightclub to attend the first Oscillate party. 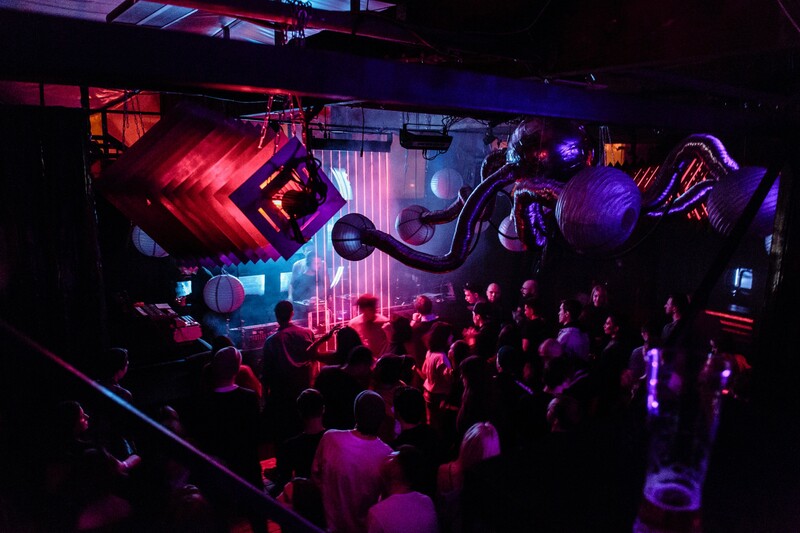 The lineup included Reznik, Parasol and Cuthead and the attendees left the club that night knowing what Oscillate stands for; the music it champions, the crowd it attracts, the DJs it supports. DJ and Melbourne-native Kate Miller co-manages Oscillate with her partner Mato, who launched the series four years ago with a friend. “Back then I was a resident DJ — I started getting more involved with organising two or three years ago,” explains Miller. The queue that formed for the second Oscillate event was double the size. Word had spread about the initial party, and the carefully curated lineup only bolstered the fledgling party. This time round the original attendees knew what to expect, and a fresh crowd who’d heard good things came to see for themselves. The DJs played music that fed into Oscillate’s sound, creating a living, breathing, evolving brand. Since then Oscillate parties have hosted huge names, including Jayda G, DJ Fett Burger, Shanti Celeste and Kate herself. People who’ve been to the parties will have an idea of what our taste is, look out for our records and keep up with the label. Anyone who’s attended an Oscillate party will know what to expect from the label. “We hope that people who’ve been to the parties and who’ve already enjoyed the nights will have an idea of what our taste is, and they’ll look out for our records and keep up with the label,” says Miller. Oscillate didn’t invent this format. The use of club nights to boost the brand of a label can be traced back to the late ’90s golden era of electronic music, when Ninja Tune hosted a night called Stealth in an old factory in Shoreditch. Matt Black and Jonathan Moore founded the label and launched the party series back when Old Street was dodgy rather than trendy. Or there’s techno label Perlon which hosts …Get Perlonized in Berlin’s legendary Panorama Bar. Or Innervisions, who host weird and wonderful events around the world that have created a unique cultural universe surrounding the label. Regularly putting on parties creates a community around your label, which helps promote the music to an audience that are receptive and open-minded to it. Parties are an excellent way to showcase the scope and range of a label’s music, but they add even more value in the form of relationships. Organising parties and events in any city in the world will automatically connect the label to the local music scene. Scoping out venues, chatting to local promoters and booking DJs you like is a strong foundation to build relationships in the city of your choice. Casper Mejlholm, along with three other DJs, manages Mechatronica, a label that has skyrocketed in popularity in the last year. 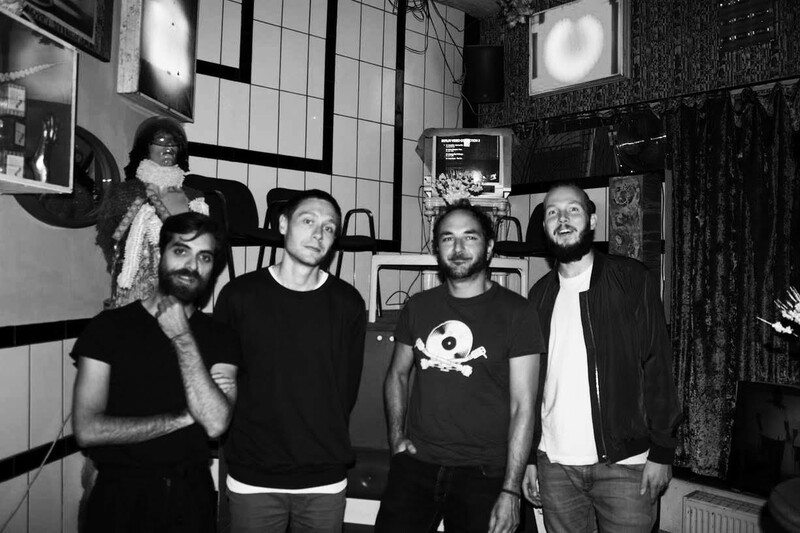 Founded back in 2012, the collective started out doing small nights in venues around Berlin, focusing on acid and electro music made on live hardware. So what advice does Mejlholm have for those looking to launch their own party, label or both? Staying true to the sound you want to express will pay off in the long-run. And Mechatronica have learnt this firsthand. By maintaining consistency with their concept — the exploration of the link between man, electronic music and mechanics — they’ve established a strong following and global recognition. Oscillate will be celebrating its 4th birthday party at ://about blank on November 24th. Ecke Records’ upcoming two-track EP by Squallfront will be released on December 4th on vinyl only. Get your previews and preorders here. And check out Mechatronica’s x Pinkman at Griessmuehle on December 8th.